San Diego is a haven for outdoor lovers. We have created a list of some of the best ways to spend your days in nature. It may be impossible to complete everything in one trip, but with over 250 days of sunshine and less than one foot of rain per year, there are plenty of opportunities for future visits. From dog beaches to surf spots, be sure to check out the link to see all the neighboring beaches. 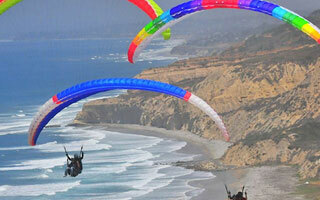 Torrey Pines Glider Port offers everything from paragliding to hangliding, all above the beautiful La Jolla cliffs. It’s right around the corner. San Diego is a great location for hikes with plenty of choices. Beach side, desert, or pines.. the choice is ultimately yours! 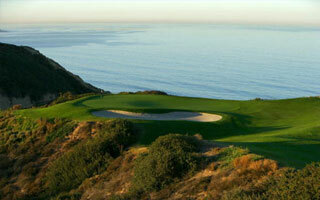 Playing a round of golf at the world-famous Torrey Pines Golf Course is a must for any avid golfer. Torrey Pines hosted the 2008 U.S. Open. Beautiful ocean views while playing either the North or South course encompass the natural beauty of La Jolla. Be sure to make reservations well ahead of time, as tee times book quickly, especially in the summer months. 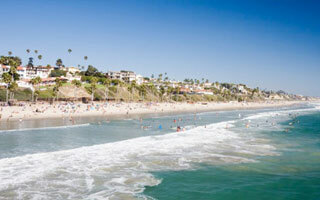 If you’re interested in checking out La Jolla Cove, which is only a 5-minute drive from La Jolla Shores Beach, be sure to read the details on the City of San Diego website. The link also includes lifeguard information and recommended scuba diving spots as well.